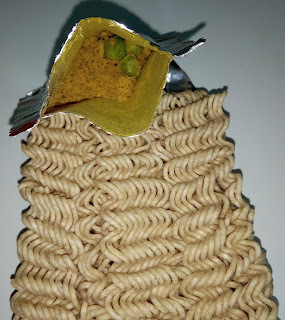 As an instant noodle fan, I have always wanted to try instant noodles from all over the world. 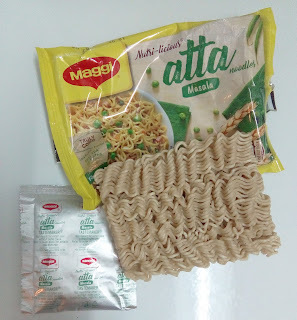 Got my hands on Maggi atta Masala which is from India. "atta" means wholewheat noodles hence the colour of the noodles and you can see pieces of wheat in it. 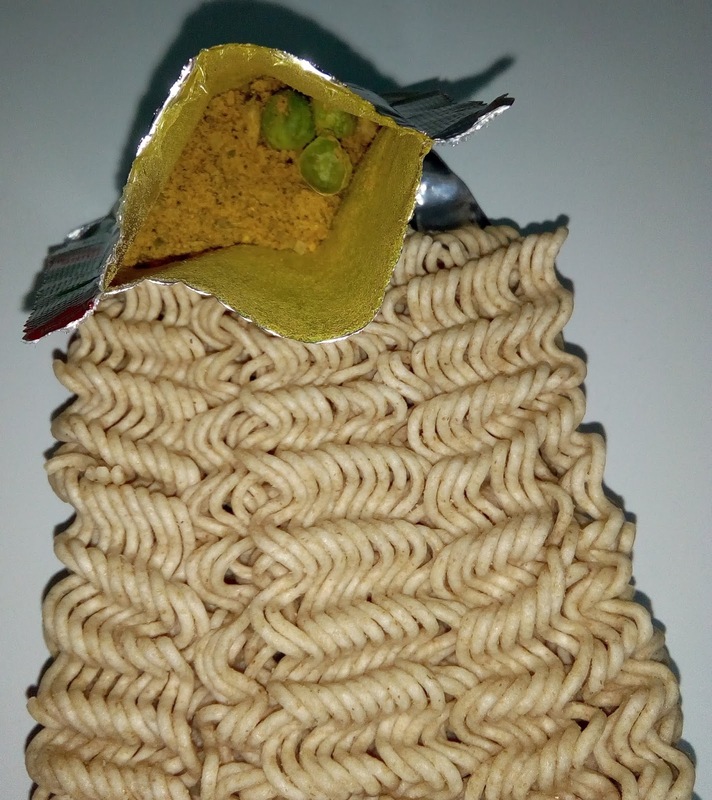 It was impressive to find dehydrated peas in the flavouring sachet. I tried some of the powder on its own to see how spicy it was and it is quite spicy. 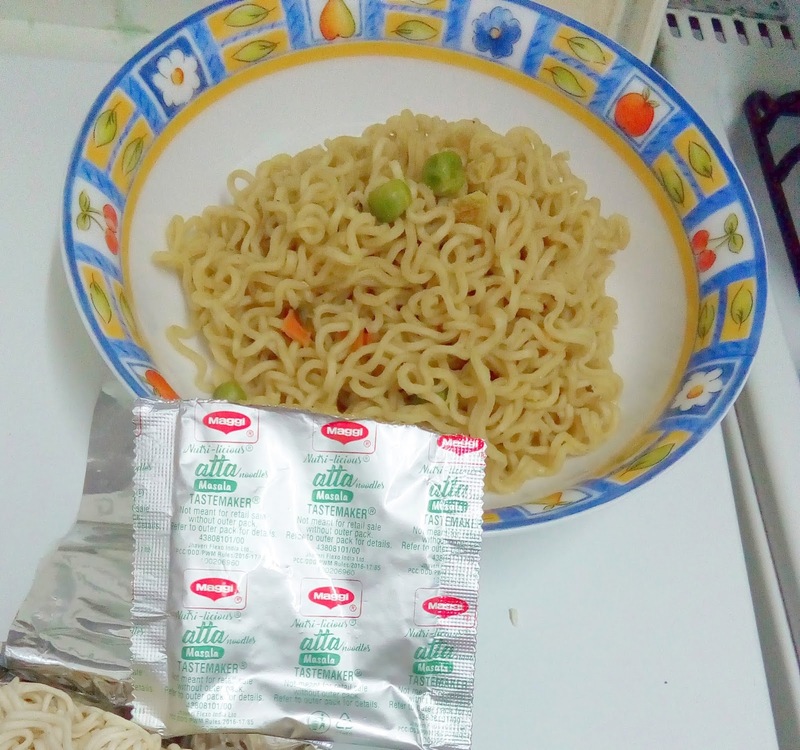 Unfortunately, the noodles had already gone rancid in the packet before I opened it otherwise they would have been delicious. Anyhow, I will try and get it from another shop and hope it has not gone rancid.